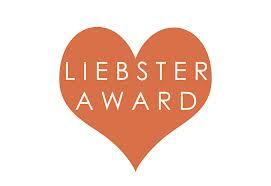 That lovely Cornish maid, Mrs Bash has kindly nominated me for a Liebster Award. Not only did this come as a surprise (knowing someone other than my mum reads my blog is rather nice), but it’s also been my pleasure to pass on the award to some of the lovely people on my Sunday morning Blog-fest reading list. A Liebster Award : an award that was created to promote the smaller blogs; the ones that are sneaking along under the radar quietly but are actually utterly brilliant reading. Not that I am utterly brilliant reading – I suspect Mrs B is fond of all things edible and is not just in it for my incessant drivel. But that’s ok, because the nominations I now have to award are not all going to blogs about the writing but are a awarded to a variety of bloggers, from food to flowers and from happiness to humour. For me the blogging world is all about variety – it’s like a great big magazine out there which you can dip in and out of depending on your mood. As is customary in the Liebster Awards, I have to answer ten questions set by Mrs Bash, then set ten of my own for my nominees to respond to. I also have to nominate ten blogs with less than 200 followers who then in turn have to do the same. It’s like a great big chain of Blog Love. In no particular order, I love you ALL…. Middle Aged Cred Another blogger who’s gone off the boil and needs a bit of a prod. Don’t give up, we love you! The Dorset Divorcee without a doubt one of the most entertaining blogs I read, probably because I empathise totally with her way of thinking. And for the record, I’m all for skipping. Now, back to Mrs Bash – here goes with the questions …. What did you want to do for a job when you were a child? Easy …be an astronaut. The fact that I’m nervous of the dark, claustrophobic and petrified of heights is irrelevant. What is or has been your line of work? My first proper job was as a clerk for Barclays Bank; then I became a Chief Domestic Officer & General Mummy Person for a few years; then decided I wasn’t busy enough so went to university, got me a degree and was a Primary School Teacher for a few years too. Busy, huh? What are your top 3 books? Tricky one as I’m usually face down in a cookery book and I don’t suppose that’s what Mrs B had in mind. So I’m going to plump for Rudyard Kiplings ‘The Just So Stories’ because my grandpa used to read them to me; Audrey Niffeneger’s ‘Her Fearful Symmetry’, which was the most beautiful, weird, quirky love story I’ve ever read; and Andrew Miller’s ‘Pure‘, which was simply brilliant. Where did your blog name come from? My husband. Now, I’d like to think it’s tongue in cheek, but AlphaMale often tells me what a rubbish wife I am. Admittedly it’s usually when we’ve run out of loo rolls or there’s no milk for the muesli, but even so, we all make mistakes. However, the name’s stuck and people seem to like it, so RubbishWife it is. What are you most proud of (apart from your offspring?) I think I’d have to say my degree. I worked damned hard to earn it and came away after three years of hard graft and burning the midnight oil with a First Class Honours. Definitely one of my finest achievements. Who is your blogging crush? Without a doubt it’s EnglishMum. She’s definitely not in line for a Liebster Award as she probably has a billion zillion followers and is the superwoman of my blogging world. If my blog could be a fraction of hers I’d be one happy lady. Which celebrity (dead or alive) would you like to have dinner with? This is a tricky one. I’d like to say Marilyn Monroe, but AM would spend the entire meal drooling so that’s no good. And I’d like to say Peter Kay but I’d end up with indigestion from laughing so much. So I’m going for David Attenborough because he’s such a fascinating, charming, intelligent chap. If you could live anywhere in the UK, where would it be & why? Actually I’m pretty partial to Cardiff (fondly known as The ‘Diff in these parts). I’ve lived in Yorkshire and Devon, both of which were beautiful in their own rights, but I do love this city. We have coast and mountains on our doorstep and a buzzing city to boot. Yup, I’ll stick, thanks. Are you a party goer or would you rather stay in? Much as I like getting dolled up for a grand night out, I’m actually a bit of a home-bird and like to stay chez nous. My favourite thing is to rustle up a slap up dinner for AM and myself and enjoy the peace of the house now the Fledglings have all flown the nest. And the most taxing question of all – what is your favourite biscuit and do you dunk? DO I LOOK LIKE A DUNKER? Absolutely not, Grandma would have a turn. I’m going to opt for those lovely little German gingerbread thingies that Aldi sell in profusion at Christmas, the lovely Lebkuchen. The questions for my nominees. Excuse the randomness of my thoughts and just go with the flow folks…. Which three words sum you up? What would be number one on your bucket list? The last supper: what would you choose? Super-power for a day: what would you go for? City break or beach babe? If you could be famous, what would you like to be famous for? So that’s that. Thanks to Mrs Bash for nominating me, thanks to all my nominees for all their lovely blogs and thanks to you for reading. Absolutely lovely RW! Love your answers and yes, love all your edible items! I will have to get my thinking cap on for who to nominate.. I am honoured to be on your noms list but mortified that it is taking me so long to get my questions answered and nominations drawn up. I have no excuse at all other than life getting in the way. I always have been a last minute merchant but this is getting ridiculous! So sorry for the delay and please bear with me! It’s me again…I also meant to say that I really enjoyed reading the other blogs on your list. An eclectic choice some of whom I knew and some I didn’t, thanks for introducing me! Thank you and you’re welcome. I deliberately went for a wide variety- it’s kind of how I like to look at blogs anyway.